Mother Jones Jeb Bush headline: Is funny. 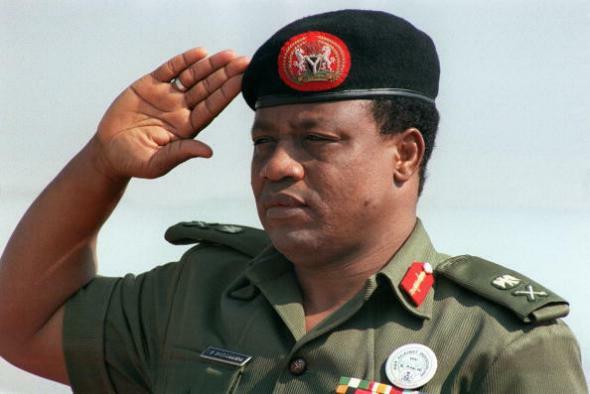 General Ibrahim Babangida, who led Nigeria’s dictatorship during the period Jeb Bush did business in the country, in 1986. You are verily encouraged to read the whole piece here and to consider its implications for Jeb’s potential presidential stewardship of the American economy, but my goal in bringing it up is mainly to laud MoJo for winning the Pulitzer Prize Academy Award Headline of the Year Oscar Trophy* for the piece’s perfect title.